Flux is a leading manufacturer of drum pumps for a variety of applications. 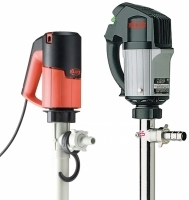 These pumps can be electric or pneumatically driven with the ability to handle thin or viscous products. We are an authorized distributor for Arizona.